What could be hiding there? Hmmm, we have a nice lake scene with swans. 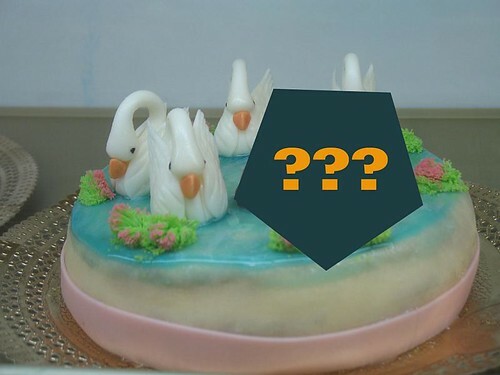 Maybe a goose? Maybe a sailboat? Maybe a water-dwelling flower? Did you guess a dopey octopus??? Me neither! I am submitting this to Cake Wrecks. 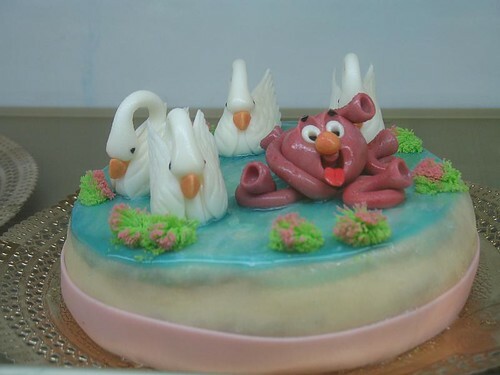 But in case it does not become a viral internet success, and you happen to know what's behind this cake, please tell me. I'm dying to know.